Fill the Kennel! A fundraiser benefiting Saving Shepherds of MN. 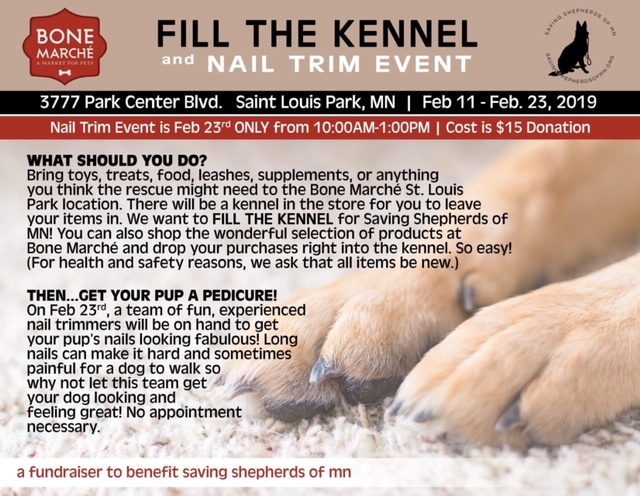 Nail Trim Event-February 23 ONLY from 10:00 AM-1:00PM. Cost is $15 Donation.